While the Open division at high-profile events has seen a greater variety of winners so far this season than in any other in recent memory, the Open Women’s division is experiencing the opposite phenomena. Paige Pierce is still undefeated through nine events this season. Her dominant performances have made headlines all year, and makes her the clear choice at the top of our women’s power rankings. Eagle McMahon stays atop our men’s power rankings. His wins at the Glass Blown Open and fifth place finish at the Masters Cup — and bold fashion choices — made him the staff pick to top the list. McMahon has only placed outside of the top five once this year, and just recently reached a new personal best 1041 rating. He is the hottest player on tour right now, outside of Pierce, and is making a convincing argument for the benefits of a Swiss workout regimen. Hot on his heels is Ricky Wysocki, coming off the win at the Masters Cup, and moving up our rankings. Paul McBeth also moves up after his Nick Hyde Memorial win and hot finish in Santa Cruz. Chris Dickerson is dealing at the lower tier tournaments around his Tennessee home racking up 14 wins already in 2018. He picked up his first A-Tier win this past weekend…Since a 40th place finish at WACO, Paul Ulibarri has returned to playing consistent golf. He needs some top 10 spots at NTs and DGPT events to move up further in these rankings though…A fifth place showing this past weekend is just a cap in a quiet but impressive first year on the road for Austin Hannum…Nate Perkins had a disappointing April but the change of scenery to the west coast may do him well. Getting out of some wide open courses to technical fairways should help out the Texas native. Jeremy Koling stands pat at 15. His win at WACO was not, as we are sure he had hoped, a sign of big things to come for the big-man-on-tour. Since his win in Texas, Koling has only one top-10 finish to his name, a sixth-place finish at the Nick Hyde Memorial. Koling’s performance thus far is somewhat perplexing. One would think that in his second year with Innova a greater level of familiarity with the plastic would have translated to a continuation, or even an improvement upon his first year with the manufacturer when he finished in the top 10 in 22 of his 33 tournaments. The season is still relatively young, though, and Koling is too talented to not break into our top 10 eventually. Sarah Hokom has been the picture of consistency this season. She won at the Nick Hyde Memorial and has finished in the top 10 in all 12 events she has played this season. Her only finishes outside of the top four came at The Memorial where she placed sixth, and the Masters Cup where she placed seventh. 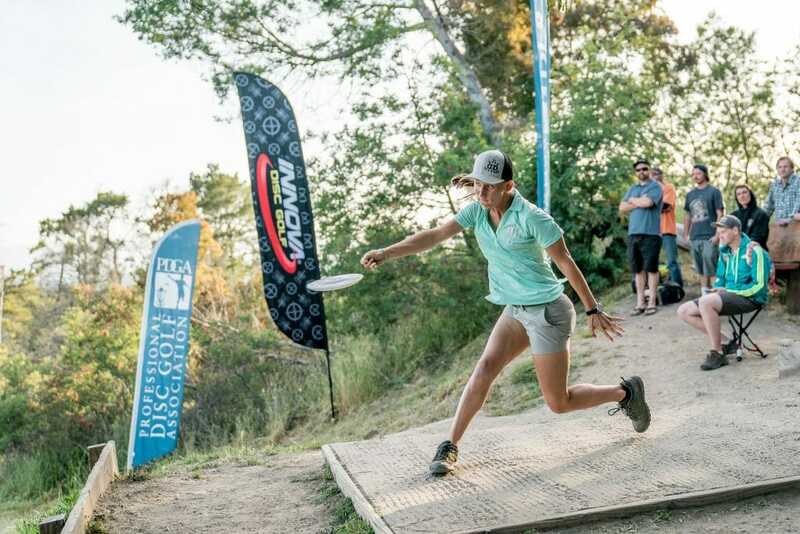 She is second only to Pierce in tour points for both the DGPT and PDGA National Tour standings. Looking at her season stats on UDisc Live, she is first in OB rates at a microscopic .049-percent, which translates to only going OB on 19 of 388 holes played. Hokom plays a clean game. Given Hokom’s consistency and Lisa Fajkus’ strong finishes of late, Catrina Allen drops a bit in the rankings despite a playoff win and second place NT finish in her last two events…We already said it, but besides Fajkus, Madison Walker may be the best Open Women’s putter, and that’s something that can keep you competing and in the top 10 of these rankings…Sometimes Jessica Weese looks like a top three player in the world; other times, she does not. Hard to know which Weese shows up each week. Comments on "Ultiworld Disc Golf Power Rankings: Post Masters Cup [May 24, 2018]"